Mr. Davis is coming to St. Anne’s from Greensboro Day School in Greensboro, North Carolina, where he has been the Middle School Director for four years. With 38 years of experience as an educator, Mr. Davis has helped young people to reach their potential as an administrator, teacher, and coach at schools including Brooklyn Friends School (New York), Flint Hill School (Virginia), the Metropolitan Learning Center, Inter District Magnet School for Global and International Studies and Technology (Connecticut), Worcester Academy (Massachusetts), Eastern Connecticut State University, St. Lawrence University (New York), and University of Dallas (Texas). "I am delighted to welcome Mr. Davis as St. Anne's third Head of School in 17 years," said St. Anne's board president and search committee chair, Ana Ramirez. "Mr. Davis’s appointment is the culmination of a search that included qualified candidates from across the nation and around the globe. Ultimately, Barry’s experience as a leader and educator in a variety of school settings, coupled with his values, passions and goals for the St. Anne’s community as well as his vision for its future success made him the clear choice to follow and build upon the excellent work of his remarkable predecessor, Mr. Peter Thayer." 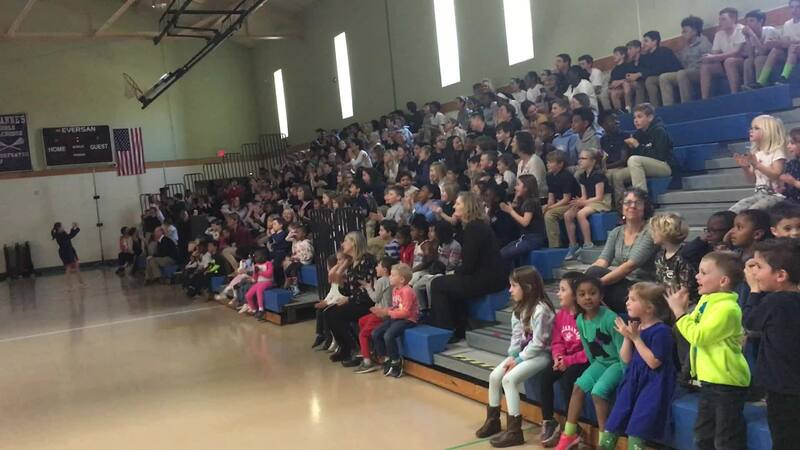 On April 3, 2019, during an all school assembly our students learned the news that Mr. Davis will be our next head of school. Watch the video below to hear their excitement!